Alex's sweet smile is sure to brighten any day! 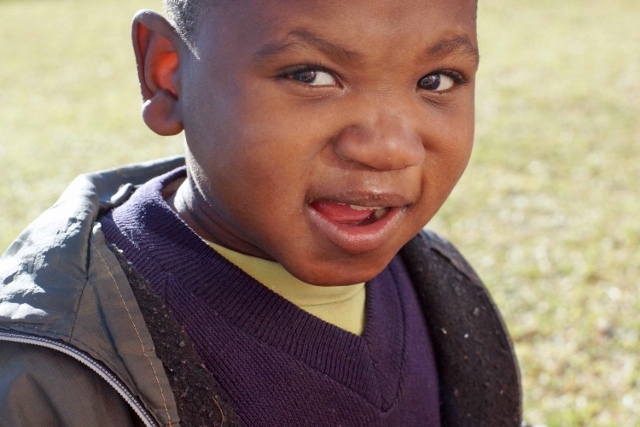 Alex came to MSC Zimbabwe in January 2012 at the age of 8. He was very malnourished which affected the development of his speech and other mental abilities. However, he is now able to walk and has physically matured in many ways. He communicates his different emotions through the use of specific sounds. Alex's interests mainly include using his newfound mobility to go anywhere and everywhere. He will hitch a ride at any time! Alex also loves listening to music and watching television.